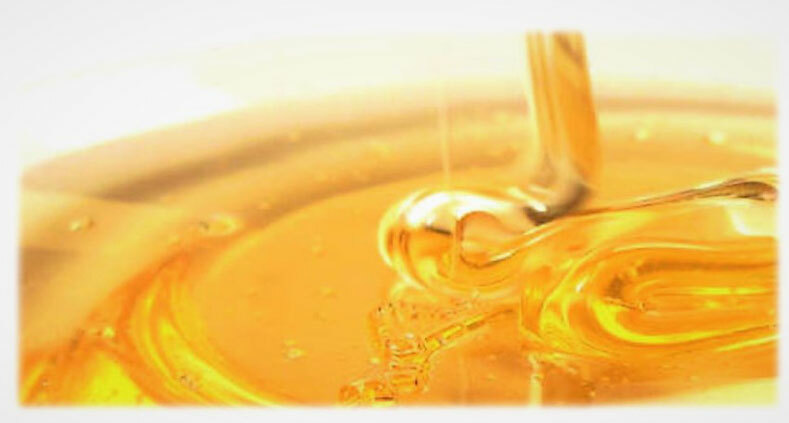 Last week, I told you why honey is great for your skin. To get the best possible results, one honey beats them all - Manuka Honey. Manuka Honey comes from bees which pollinate the Manuka Bush. The Manuka Bush is unique to New Zealand meaning that only Manuka Honey made in New Zealand is authentic. Like I explained last week every honey has an antibacterial component which is called hydrogen peroxide. Manuka Honey, however, also contains methylglyoxal (MGO) and dihydroxyacetone, two additional chemical substances with high antimicrobial action. 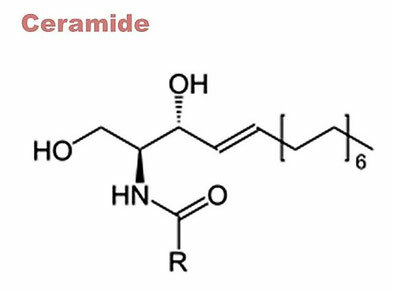 In contrast to hydrogen peroxide, these two antibacterial components are more stable and don't get neutralised by heat, moisture or enzymatic action. 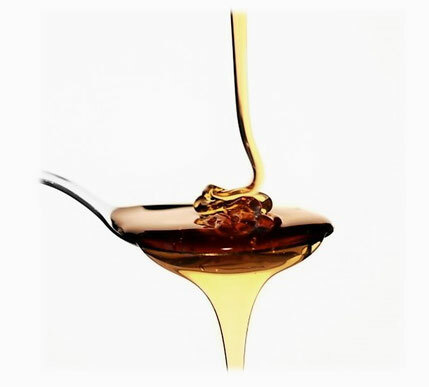 Therefore the antibacterial action in Manuka Honey is many times higher as in other sorts of honey. Furthermore, Manuka Honey has a bacterial resistance, and bacteria can't develop a tolerance to this effect. 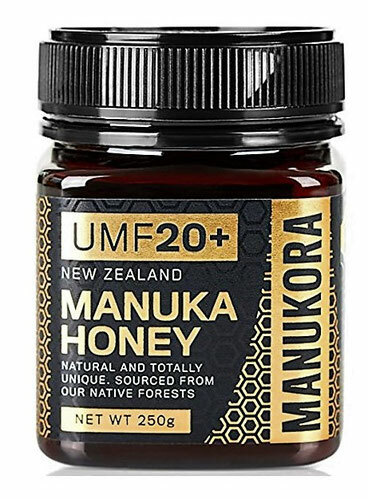 The antibacterial potency of Manuka Honey is measured by the Unique Manuka Factor (UMF ) which begins at five. The higher it gets, the better it works on the skin. Unfortunately, a higher UMF raises the price per glass. To get the skin benefits mentioned in last weeks post the fastest way possible, I use raw Manuka Honey with a very high UMF. Like so many other beauty hacks, rolling the face with a Jade Roller isn't a new invention. 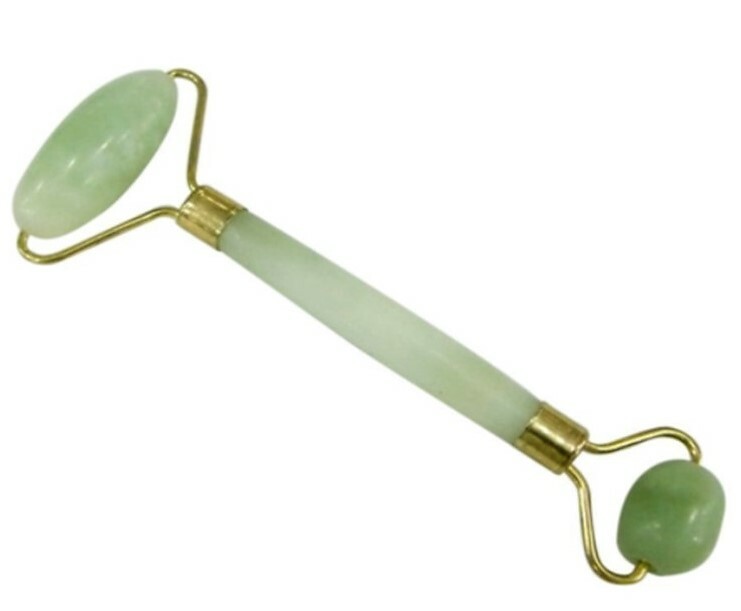 In China, women use the Jade Roller since the 7th century. The simple act of rolling the Jade Roller over the skin increases the circulation, therefore, helping the lymphatic system to carry away toxins and to depuff the face. Some people put their Jade Roller into the refrigerator before use, to increase the depuffing factor. The increased blood flow leads to a quicker cell turnover as well as a higher oxygen level resulting in a brighter, clearer and more glowing skin. This benefit comes in two ways. Firstly, the rolling motions of the face roller relax the facial muscles, thereby smoothing out wrinkles and fine lines hindering them from getting more prominent as well as to prevent the development of new ones. 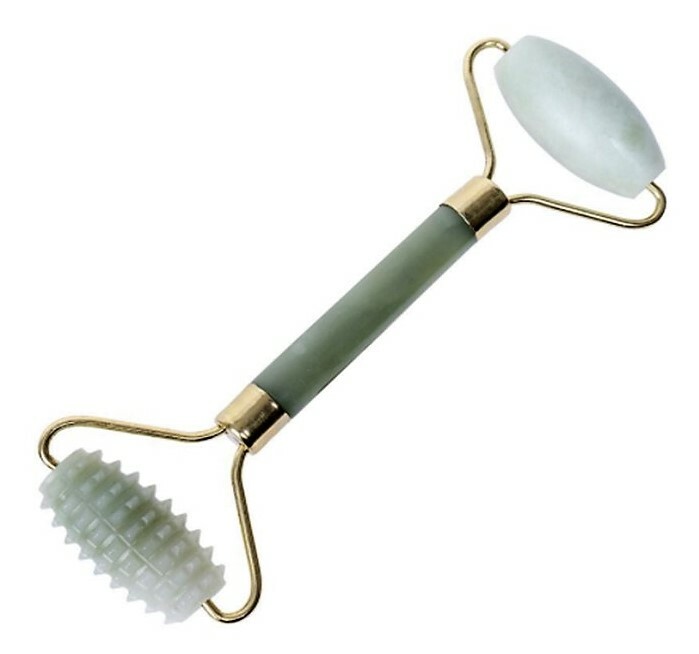 Secondly, the massaging effect of the Jade Roller has a "workout effect" for you facial muscles preventing sagging of the skin and even better toning the facial muscles to make your face look tighter, firmer and more youthful. There are many Jade Rollers on the market in different price ranges. 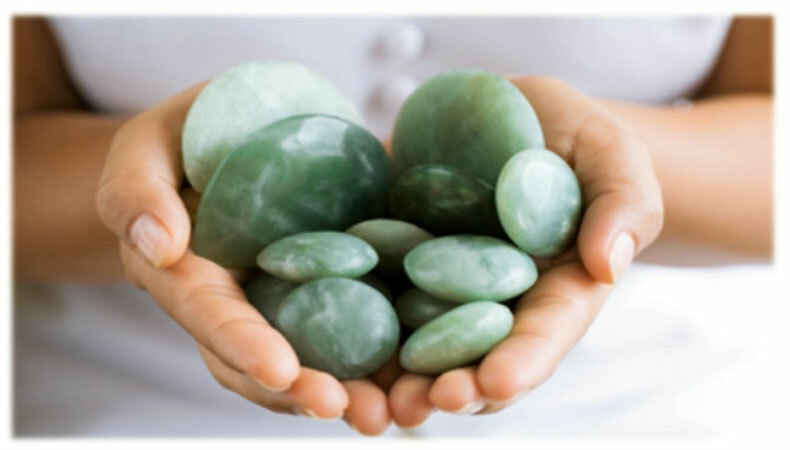 One thing is an absolute must a 100% natural Jade. Some rollers on the market only use glass and stain it in a jade-like colour. These will not give you the skin benefits a natural Jade does. My Jade Roller is double-headed, with a smooth and spiky side. The spiky side increases the massaging effect. Others have two smooth sides in different sizes, for different areas of the face. It is totally up to you which variation you prefer. There a different recommendations how to use a Jade Roller. Some suggest washing your face, applying a serum or face cream, and massaging it in with the facial roller. I prefer washing my face, then using the Jade Roller and applying my skincare products afterwards. This way I avoid any staining of the Jade from skincare products. I only use the Roller with upward motions to get an instant lifting effect. I really love what the Jade Roller does to my skin. Due to the cold stone, it instantly depuffs my face. Furthermore, the massaging motions lead to an immediate smoothing effect on the skin. Using it for several months, I also find that my skin looks tighter and more glowing. Another plus, I can use it at any time because the roller doesn't cause any irritations on the skin. I would absolutely recommend a Jade Roller if you are looking for a natural way to improve your skin and prevent signs of ageing. Here comes another post of my BeautyNary series. As summer approaches, one topic moves into the focus again: Photoaging. In this post, I will tell you everything you need to know about this subject. The word "photo" is derived from the Greek word "phos" meaning “light”. Therefore, "Photoaging" can be translated as "light ageing". This is premature ageing of the skin as a result of repeated exposure to ultraviolet radiation (UV), predominantly from the sun or artificial UV sources. It changes the normal structure of our skin. 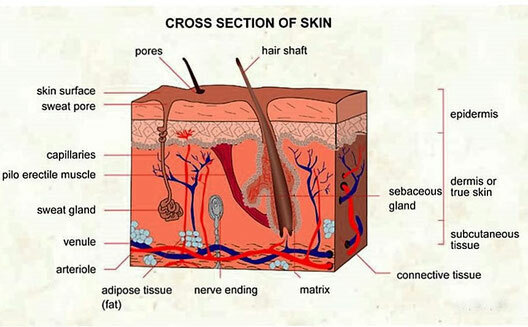 Under the surface, your skin is composed of three layers - first the epidermis, then the dermis and the deepest layer is the subcutaneous tissue. 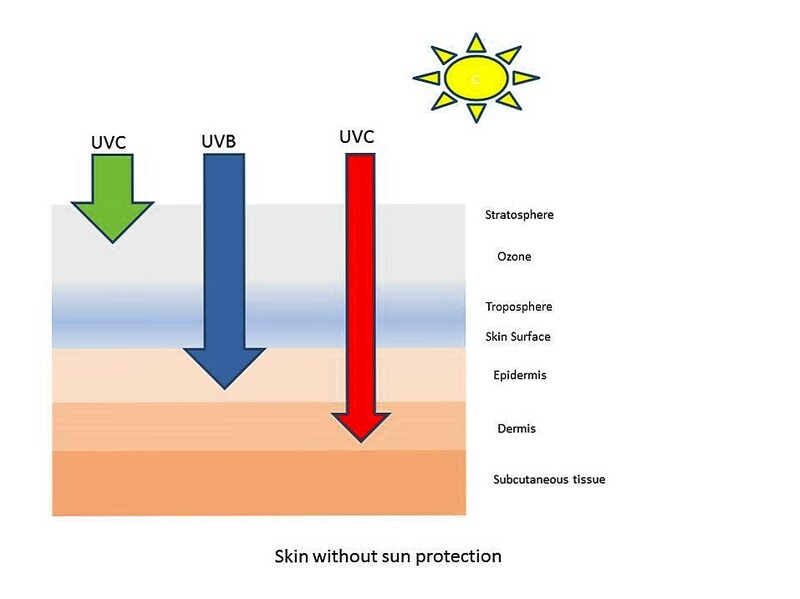 UV radiation can be divided into UVA, UVB and UVC rays. They differ in their wavelength, their biological activity and the extent to which they can penetrate the skin. Although the short-wavelength UVC is the most damaging type of UV radiation, the earth's atmosphere protects us from it for the most part. 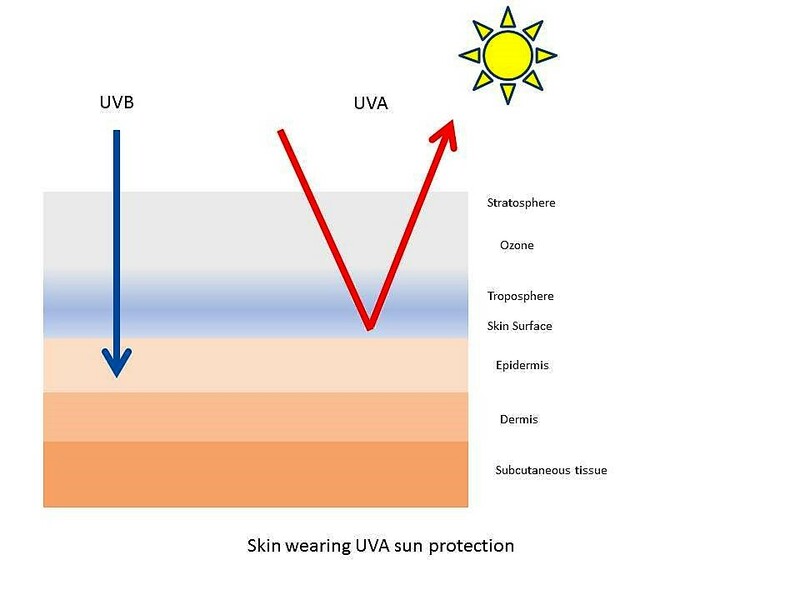 We have to pay attention to UVA and UVB because they are the real culprits of photoaging. 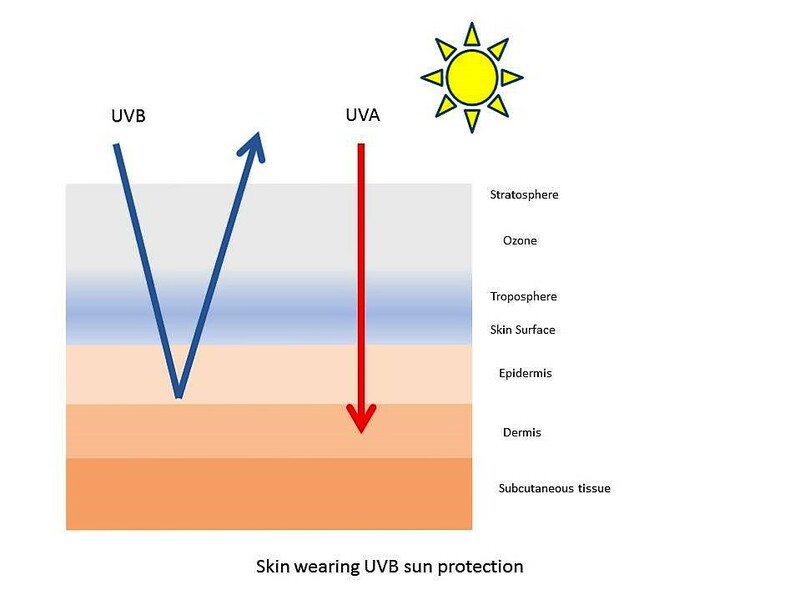 UVB rays have a medium-wavelength. Nevertheless, they are strong enough to cause sunburns and other changes in your cells. Apart from premature signs of skin ageing, they can, as the worst outcome, cause cancer. Their medium-wavelength impedes deeper penetration beyond the epidermis. 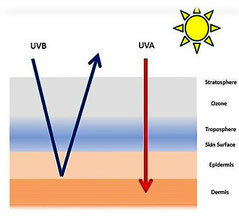 Compared to UVB, UVA radiation is weaker but has a longer wavelength. Therefore, it can infiltrate your skin much deeper. UVA rays reach the dermis. It includes proteins like collagen, elastin and other important fibres, which are responsible for your skin's strength and elasticity, as well as for its youthful look. Besides the immediate tanning effect, too intense UVA radiation contributes to skin ageing and wrinkling by damaging the proteins and fibres of the dermis. 1. Photoaging only happens outside and by taking long sunbaths. This is wrong. Every time you expose your unprotected skin to the sun, you risk "light damage". It doesn't matter if you are inside or outside nor if the sun is shining or the sky is covered. The truth is, sun rays can pass through clouds. Sure, they don't have the same intensity as they have if the sky is cloudless, but still they have enough power to induce Photoaging. Unfortunately, unlike UVB radiation, UVA rays can get through window glass. Therefore, you are constantly exposed to UVA radiation, even if you are in your home or driving a car. By the way, UV rays also manage to pass through your clothes. 2. The higher the SPF in my sunscreen the better the protection. Also not true. The SPF only indicates how much longer you can stay in the sun without getting a burn. For example with an SPF 25, you can extend your time in the sun for 25 minutes. 3. Wearing sun protection eliminates every risk of sun damage and Photoaging. No, even with the highest SPF there is still a chance of 2-3 % for UV rays to penetrate into your skin. There is no such thing as a complete sun protection. 4. Wearing an SPF 15 in my moisturiser and an SPF 20 in my foundation adds up to an SPF 35. Sorry, also wrong. You can't sum up different SPFs. You SPF is always is the product with highest SPF. In this case SPF 20. 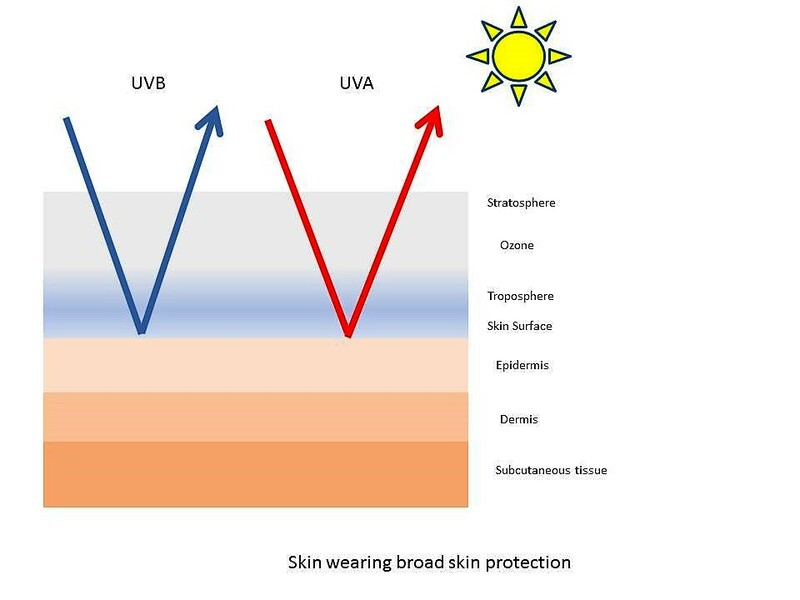 - wear a broad-spectrum sunscreen that protects against UVB and UVA. - apply sunscreen liberally to get its intended effect. - choose cosmetics products such as moisturiser, foundation, lipstick, hand cream and body lotion that contain an SPF broad spectrum sunscreen. I hope I could clear up some misconceptions about Photoaging. Keep in mind I am not a doctor or a scientist. Everything in this post is solely based on what I have been reading about this subject. Do you like to know anything else about Photoaging ? Please ask in the comment section. Every time I am doing someone's makeup or simply during conversations, I have noticed there is a lot of semi-knowledge concerning beauty topics. That's why I want to start a series where I will break down special beauty terms for you as well as clearing up some beauty myths. I hope that over time I can create a reference guide where you can look up any beauty-related topic. On this thought, I name this series "BeautyNary". In today`s BeautyNary post I will focus on face oils. 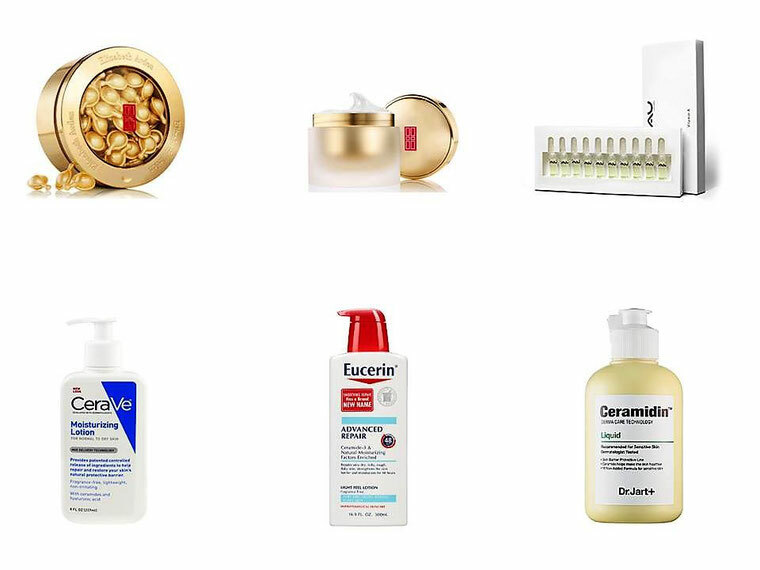 Here are the most important facts you should know about face oils. First of all, face oils are not a new invention. In fact, they have been around for many centuries. The benefits of oils for the beauty routine were already known in ancient Egypt. The only new thing about facial oils is that the beauty industry rediscovered them. The most common question is about the difference between beauty face oils and pure organic plant oils. Basically, there is no difference, if they both contain the pure oil. Beauty oil just sounds fancier and the packaging is probably more appealing. I prefer the sheer plant oils over the beauty oils because many them are enriched with fragrances as well as mineral oils. These two ingredients can irritate the skin and clog the pores. I discovered no such things with the pure plant oils so far. Another question that keeps popping up is what the benefits of oils are. Oils have a very fine molecular consistency. That's why they can deeply penetrate into the skin and intensely moisturize your skin. If you apply the oil onto your damp skin, it forms an oil-water emulsion which locks the moisture into your skin and leaves it deeply hydrated. The next misconception I regularly hear is, "I can`t use oil on oily skin." This is wrong! The conventional logic suggests that the use of oil on oily skin will aggravate the problem, but the opposite is the case. Oily skin is a result of an overproduction of the sebaceous glands. By removing the oil from your skin, the sebaceous glands notice the void and start producing even more oil. 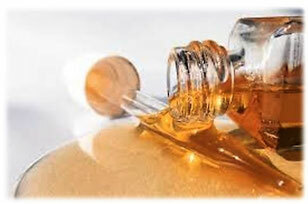 But if you add oil to your beauty routine, your skin notices there are enough oil and moisture. Due to this, your sebaceous glands won`t feel the need to produce extra oil. In this way, you can regulate the oil production of your skin. Last but not least, there is no single best beauty oil on the market. Different skin types have different needs, and every oil has unique ingredients which can target different skin issues. The three oils I like the most are argan oil, coconut oil, and jojoba oil. All three hydrate the skin deeply. Argan oil additionally contains a high amount of vitamin E and has antioxidative benefits. The fatty acids (Caprylic and Lauric) in coconut oil can reduce skin inflammation. I also use it as a makeup remover. Jojoba oil is structurally and chemically very similar to the human sebum and therefore quickly absorbed by our skin without leaving a greasy residue. 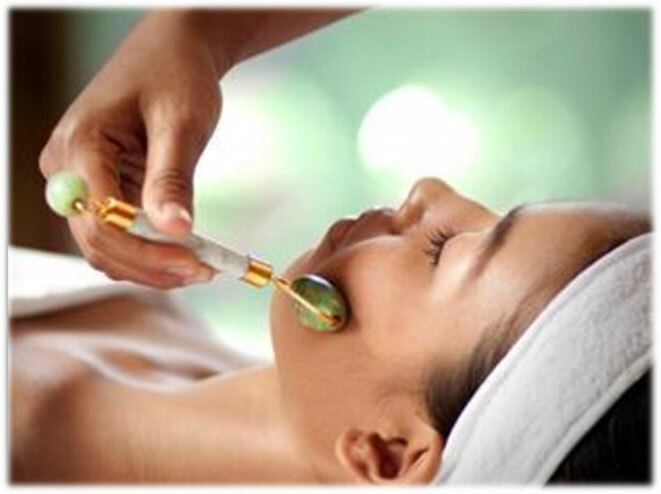 It mimics the activity of our body’s natural oil which leads to normal oil production of your skin. It is also non-toxic, non-comedogenic, and non-allergenic. That’s why it doesn`t clog your pores or causes allergic reactions. So, choose your oil depending on your skin needs. If there are still some unanswered questions, feel free to ask in the comment section or via email.